A former pregnant and parenting young person, Packebush spoke with Rewire.News about the influences on her debut young adult novel, including real-world hardships and the communities that sustain queer youth. 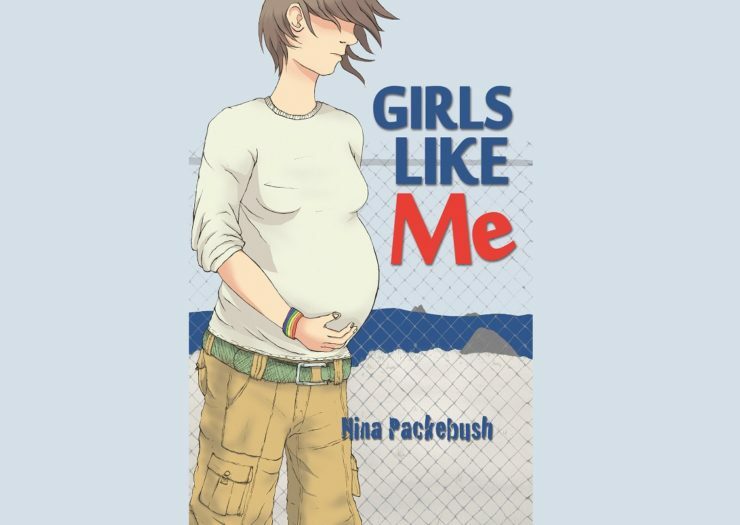 "Girls Like Me is a combination of my own experiences as a teen mom, my daughter’s experience as a teen mom, and the experiences of many of my teen mom friends, all mixed up with a huge dose of fiction," says author Nina Packebush. 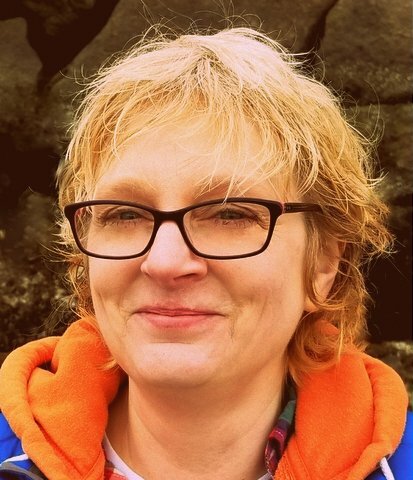 To better understand her process and the experiences that inspired her book, I recently spoke with Packebush via email about Girls Like Me, which she learned in March was a Lambda Literary Awards Finalist. A former pregnant and parenting young person, Packebush talked about how Logan’s world and journey were influenced by a myriad of often overlooked real-world hardships, as well as by the communities that sustain us. Here’s a lightly edited transcript of our conversation. Rewire.News: I know you became pregnant with your son when you were 18 years old. Can you tell us a bit more about what your experience was like? Nina Packebush: It was really lonely and pretty terrifying, but not because I was afraid of being a mom or doubted my ability to mother my child. The year I was pregnant with my son was the same year that TIME magazine ran a cover story titled “Children Having Children,” which highlighted all the ways that my life would fail and went into great detail about how my son wouldn’t have a chance. Essentially, he was doomed at birth, according to TIME. The magazine also talked about all the ways that teen pregnancy was destroying the very fabric of American society. The hard part about being a pregnant teenager was the way I was treated by relatives, doctors, strangers… society in general. It was a pretty hard time in my life, but again, I never for one second doubted my ability to parent my son. Rewire.News: What was your prenatal care experience like? NP: I had my prenatal care and birth at the University of Washington because they offered subsidized care to uninsured moms. I was assigned a social worker who pressured me to give my baby up for adoption. When I had my ultrasounds, the technician looked past me and only spoke to my mom. When I asked to know the gender of my baby, she literally told me, “We have found that with young parents it’s better if we don’t tell them.” She didn’t explain why this was supposedly better; she just made it clear to me that my wishes, desires, and authority as a parent did not matter to her. I was undermined as a parent almost from day one. Rewire.News: When did you first have the idea for Girls Like Me? NP: I guess it was around 2010 or so. I wanted to write a story about a queer teen mom. I had come out as gay around 2003, and many of my teen mom friends also ended up coming out. I just felt like we needed a story about us. My original plan was to make it into a zine for my friends. Then, later, I thought maybe I would make it into a graphic novel and took Ariel Gore’s manuscript workshop. There [the story] sort of started to take shape and that’s when it really hit me that there had never been a young adult novel about a queer pregnant teenager. With the support of Ariel Gore, another queer grown-up teen mama, I became really dedicated to making this story happen. In 2012, I was chosen to be a Lambda Literary Fellow, and there the story continued to evolve. Rewire.News: How much of your personal experience of becoming pregnant and a parent in your teen years influenced the characters and events in Girls Like Me? NP: Girls Like Me is a combination of my own experiences as a teen mom, my daughter’s experience as a teen mom, and the experiences of many of my teen mom friends, all mixed up with a huge dose of fiction. While many of the scenes in the book are fiction, the underlying feelings of my character, Banjo, reflect my own struggles and fears of being a pregnant working class teenager of a single mom, as well as the struggles my daughter faced as a pregnant 16-year-old with a struggling lesbian single mom. Both Banjo and her mom reflect my own experiences. I identify a lot with Banjo, but also with her mom. Rewire.News: Mental health is almost its own character in Girls Like Me. Why did you choose to include mental and emotional health as central themes in the book? NP: The mental health aspect of the book was really important to me. When I set out to write the book I didn’t really have a plan at all of where the story would go, but I knew I wanted to explore trauma and its role in mental well-being, as well as show the importance of having a supportive and nonjudgmental community. It was important to me to show how marginalization, abuse, trauma, and isolation can lead people to breakdown emotionally, but that those breakdowns do not necessarily mean that someone is mentally ill or that they need to be fixed. Rather, I wanted to highlight the importance of friendship and nonjudgmental acceptance in helping people to find mental well-being. Oftentimes friends make the best medicine, as they say. Rewire.News: Logan meets two very different mental health professionals in the book: one in a juvenile mental ward and another when she gets out. They are extremely different from one another. Tell us a bit more about the reason you included them. NP: I wanted to show what a supportive mental health professional looks like. Doctor Jack, the psychiatrist, is based on a few mental health professionals that I, or my friends and family, have encountered over the years. I have received a lot of feedback about Doctor Jack and my portrayal of the psychiatric hospital from people who have been in the mental health system. I have been overwhelmed with people who say that Banjo’s experience was very much their experience, which makes me happy that I portrayed it realistically, but also sad that my portrayal of the juvenile mental health system was the norm rather than the exception. The character of Anna, Banjo’s counselor, was there to show the importance of having a mental health worker who understands what it’s like to struggle and because of that has true empathy and compassion. Anna accepts Banjo for who she is and doesn’t try to fix her; rather she tries to guide her to find her own solutions. And that, I believe, is critical in helping people to heal. Rewire.News: A 2015 study published in the American Journal of Public Health found that self-identifying LGB youth were more likely that non-LGB youth to experience an unintended pregnancy in their teen years. Yet, Girls Like Me is the only book I know of about teen pregnancy that has a queer protagonist. Why do you think most books on this topic are cis and heteronormative? NP: I don’t think most people have any idea that queer kids get pregnant or have babies. It just doesn’t occur to them. Every time I do a reading or a talk and mention the statistics on LGB kids and pregnancy, people are shocked. Even really progressive and informed people are shocked when they find out how common it is for gay and bi kids to get pregnant. I think teen pregnancy is already such a touchy subject that adding in a queer element is just too much for most people. As a society, we are not at all comfortable with the idea that teenagers are sexual beings, and when it comes to queer teenagers, it seems to make people even more uncomfortable to consider that they may be sexual. Then, of course, on top of that people still equate pregnancy with a cis man and cis woman. Rewire.News: The first time Logan goes to a doctor’s office for her pregnancy, the front desk person and the other patients in the waiting area make her uncomfortable for a number of reasons. What do you think doctors’ offices can do to make medical care less judgmental for “nontraditional” pregnant people? 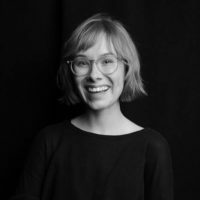 NP: I would like to see more doctors and others involved in reproductive health make a better effort to [have representations of] all sorts of families in their waiting rooms and in the literature they have available. Imagine coming into your obstetrician’s office and seeing pictures of all kind of families on the wall: gay, lesbian, trans, straight, single, and teen parents, as well as people of different races, different physical abilities, and different socioeconomic backgrounds. Then, of course, I would like to see staff trained in not making assumptions about people based on the way they look, ask preferred pronouns, don’t act shocked if you see a very young mother or a much older mom. Things like that go a long way. Rewire.News: Logan receives a lot of support during this difficult time. She gains friends, mends relationships in her family, and sees caring medical professionals. Why did you choose to have a supportive environment for Logan during her pregnancy and loss of her partner? NP: I wanted to show that many times when the child of a teen mom finds themselves pregnant, they do have the support of their mom because the mom gets it. In my book, I added a couple more teen mom characters because I liked the idea of the teen mom community coming together for one of their own. And I wanted to show how oftentimes the queer community is supportive of others who may not fit in, because again, they get it. When you don’t fit in, there is nothing more powerful than finding others who don’t fit in. As a society we often assume that the kids of teen parents are more likely to become teenage parents themselves because they were raised in poor, unstable, and poorly educated households, and so they are just carrying this legacy. We see teen pregnancy as some sort of intergenerational trauma cycle that must be broken, like physical or sexual abuse. I see it differently. I think that when the teenager of an older parent gets pregnant and they hear all of the horror stories about how their lives will be over and their potential child’s life ruined if they continue pregnancy and raise the baby, they believe it. It’s terrifying. But for the teens of teen parents they can see past this narrative. They can see that they haven’t ended up as a drug addicted, mentally ill, high school dropout that has spent time incarcerated, which is what we are told over and over is the destiny of the child of a teen parent. They can look at their own parent/s and see that they have survived and thrived. They got to see firsthand how their parent/s pursued their dreams and overcame hardships, and this is a powerful thing for a child. 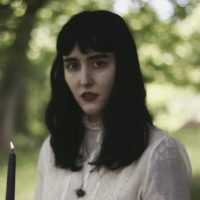 They can look at their own childhoods and see that they may have not had a ton of money or whatever, but that their childhoods were not horror stories at all. Oftentimes teen parents actually end up being more fun than older parents because we have more energy and fewer preconceived notions of how things are supposed to be. We are freer in many ways. Rewire.News: Was it hard to find a publisher for a super queer, optimistic fiction book about a pregnant teen? NP: It was. I was told that [the book] wasn’t realistic. I had one publisher [that was] very interested, but wanted me to make Doctor Jack a sympathetic character who offers help to Banjo and her friends. But I didn’t feel like that was the way it is for a lot of kids who get caught up in the mental health system. I wanted my book to be for the kids who haven’t found the psychiatric system to always be helpful. I was also told that there was basically no market for a book about a queer pregnant teenager. I [could say] more on this, but I don’t want to give any spoilers about the book. Let’s just say that I was told by a few that it needed a different ending. In the end I did have three small presses interested, and of course the book got published [in November 2017], which I’m very grateful for. Ask a Queer Chick: Help! My Parents Won’t Let Me Talk to My Online Girlfriend.